Get exclusive insights and guidance on how to tackle your content moderation challenges with Implio. Moderation expert and Besedo customer success manager, Alessio Coco, will take you through our AI capabilities, automated filters and manual interface in the tool. Join the 15-minute webinar on June 18th, 8:00 pm CEST (2:00 pm EST). Moderation is a must for quality content and user safety, but it can feel like resource drain. 22% of classifieds sites spend more than 50 hours a week developing and building their own content moderation tools. Imagine if that time was spent on building new features instead. Implio was built to solve content moderation challenges for start-ups and at scale. It comes ready with AI, automated filters, an easy to use manual interface and insights to further improve your moderation procedures. We want to give you a tour of Implio to show how it can free up developer resources while optimizing your content moderation process. How AI can optimize your moderation without decreasing user experience. How you can automate up to 80% of your content moderation using customizable filters. How AI and filter automation can support your manual efforts for even better accuracy. How to scale seamlessly with Implio. This webinar has already concluded. Sign up below to watch the webinar recording. Alessio loves to assist customers and is dedicated to helping them reach their goals by providing solutions to their day-to-day problems. He possesses extensive experience in e-commerce, classified marketplaces and hi-tech. Alessio is passionate about technology, eager to learn and is continuously looking to overcome the new exciting challenges that he faces. 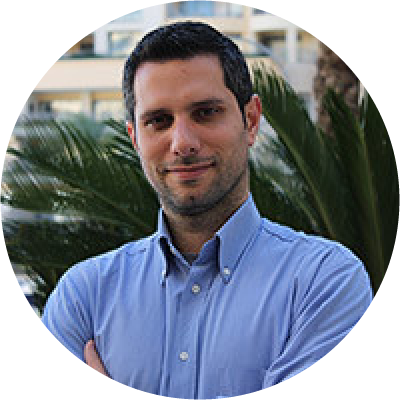 Alessio has a strong technical and managerial background, and a strong drive to meet targets and objectives. His passion for problem-solving combined with an open mindset and high flexibility is his recipe for sustained success.